Her foot pressed softly against the pedal, and the machine dutifully responded. The engine purred, the gasoline burning within it, causing the strong bands to powerfully spin, forcing the wheels to rotate against the pavement. The speed began to increase, and the little fox nestled snugly inside the vehicle smiled happily as the movement increased. 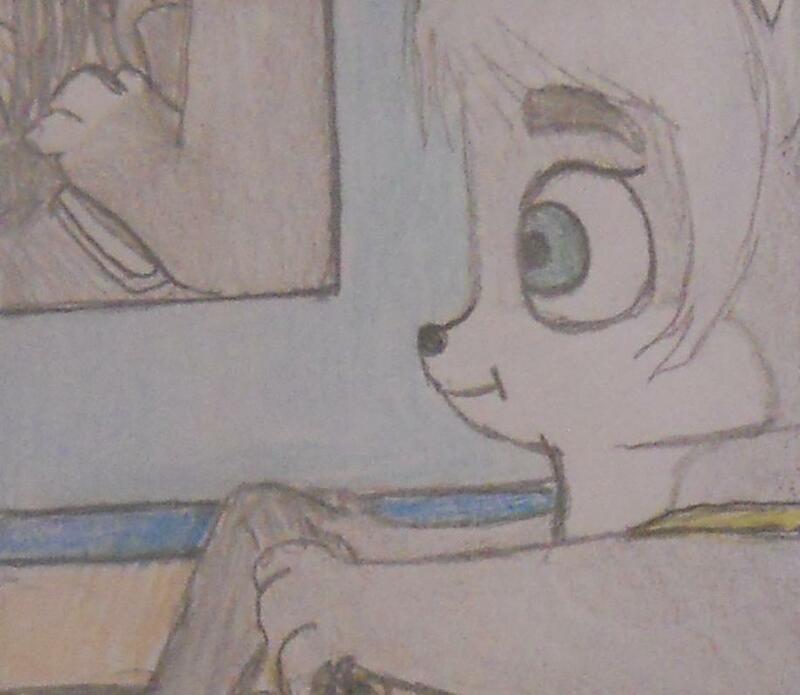 Her little foot-paw trembled, the tips of her toes tickling as the pedal twitched against them, the flow of the fuel delivering power to the heavy machine. The girl's hands gripped the steering wheel, and began to tug on it, just a little at first, but then more and more, to complete the turn. Her finger reached out to activate the air-conditioning system, pressing the sensitive button firmly in the middle. Right away the fans began to spin, forcing air out of the vents, and all over the car's interior. It was wonderful to feel the air flow all over her body and face. She giggled happily, enjoying the drive to the seashore. A wonderful little outing. I imagine this is what she is dreaming about while riding her bike.